March 2017 - Sonbuilt Custom Homes Ltd.
We Believe in Building Better. In a new home, there is no better place to start better building than in the foundation. We choose to build the foundation of each home we build with insulated concrete forms. 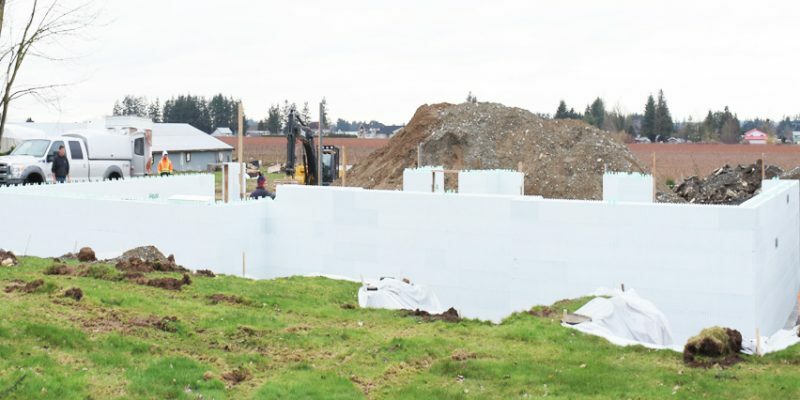 We use ICF (insulated concrete forms) to produce a more comfortable, quiet, durable and energy-efficient home than homes built with a traditional foundation. For the customer who wants year round energy savings and comfort, a foundation built with insulated concrete forms is a great benefit! Today’s video on New Homes Built Right Jonathan discusses icf and some of the materials used to put an icf foundation together. Don’t miss it! Spring is here and we are happy and excited to be busy working on this Abbotsford custom home! 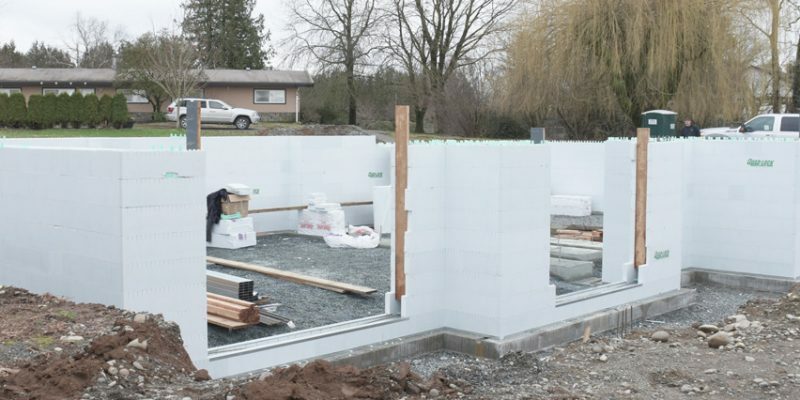 This Abbotsford home is currently in the foundation stage and like all of our custom projects, this home has an ICF foundation. ICF, or insulated concrete forms, makes a home more energy efficient, durable, and comfortable. Damp basements and random cold rooms are eliminated when living in a home with an ICF foundation. In each high performance home we build we use materials that respect the environment and ensure lower energy bills, improved comfort, and clean indoor air quality. Some of these materials include insulation upgrades, higher-performance, Low-E Argon windows, more efficient heating with a complete HRV system and sealed ducts for better air distribution. This home will have considerably lower monthly energy bills compared to a conventionally built home. While building a high performance home will cost a little more upfront, our client will save monthly on energy bills and maintenance. Our client is thrilled and so are we! Contact us today if you are interested in talking to us about your future dream home! What is a Stone Slinger? A stone slinger puts soil, dirt, rocks, and other materials where you need it. By using this efficient piece of equipment, we can eliminate material handling, reduce construction time and waste, and ultimately, save on the cost to build your home. 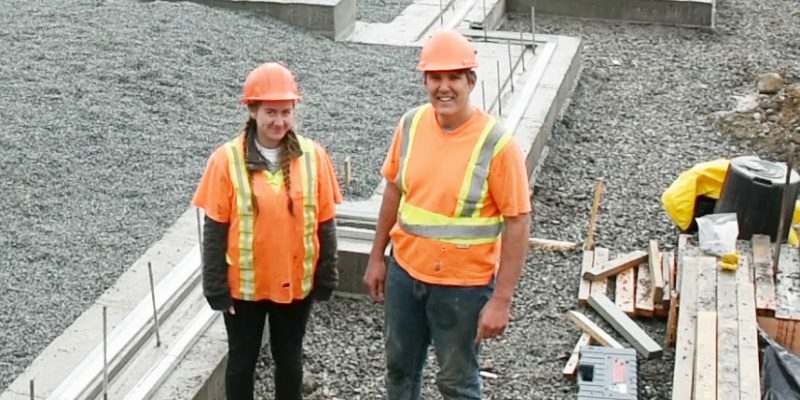 Today’s video on New Homes Built Right shows a stone slinger from local Abbotsford company, Slingshot Contracting. We are adding a layer of clear crush under the slab of this foundation. Using the stone slinger keeps our labour costs low and ensures we are providing a cost effective method of material distribution for our client. A Sonbuilt home is a well built home, even in the places you don’t see. 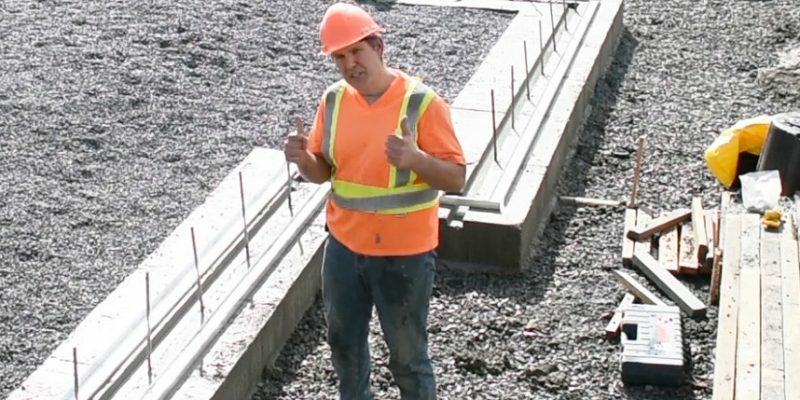 Today we are discussing underslab preparation. We’ve put clear crush rock under the footings and the slab of this new home. Prior to placing the footings, we sloped the excavation to one corner where the water will drain away from the foundation. By doing this, the water will drain away from the under the slab and from under the footings. The result – the footings won’t be sitting in water.